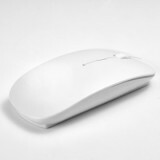 ET Rechargeable Wireless Mouse, which comes with built-in battery, will offer comfortable hand feeling. 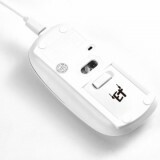 ET Rechargeable Wireless Mouse with 2.4 GHz wireless provides a powerful, reliable connection up to 10m and comes with a nano receiver inside the back of the mouse to plug and play directly. 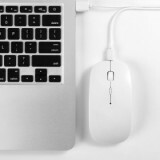 Build-in rechargeable battery,fast charging by micro USB cable that you needn't to buy batteries for your mouse anymore. Fully charged can last for 6 month. Lightweight slim ergonomic design and smooth frosted comfortable surface make it perfectly for travel, easy to put in your laptop bag or pockets. 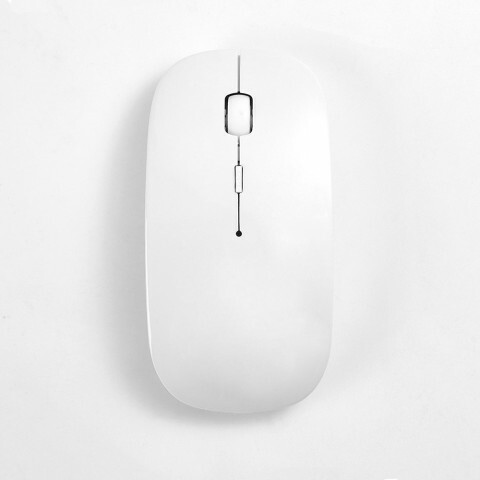 Mute design using the advanced sensor to make your silent click mouse keep noiseless.The annoying click sound will never happen. Compatible with Notebook,PC, laptop, Macs Win7 Win8 Win10 and any brands. • Manual measurement, please allow some differences. • Please allow some differences of color because of light and screen. I enjoy the funny design. I bought the mouse because I read that it could be charged. I went through a lot of batteries with my other wireless mouse, and I wanted to change that. This one also feels smooth to the touch. It charges pretty fast and keeps the charge for a while. I like just about everything about it, but It does grab dust particles easy. The scroll wheel in particular does grab onto dust easily, and I often find myself unconsciously cleaning it. 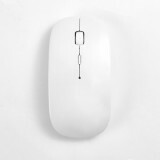 I purchased this mouse whole looking for a cheap option for my daughter's computer. She plays hours of Roblox and pretty much killed her other mouse. While the design is nothing ground breaking, it is definitely smooth and the clicks are quite. It's lightweight and so far has been great on battery use. I also appreciated the ease of setup it took. Just plugged the single into the USB port and it started installing the drivers. Philips head never let me down in the past, so I trust them. Would purchase again. 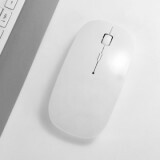 Love this mouse!! It sleeps which saves the battery after a couple of minutes!! In this day and age I am always looking for a great product with a great price and this is it! It also fits really well in my hand while using. Wonderful! As with all my reviews i review them based on expectations not on actual performance. Because anyone buying this expecting it to perform like 80 dollar mouse is in for disappointment. Dont buy a ford and complain it wont handle like a porsche.